We already did a 6 girl groups confirmed to debut in 2019 and 4 other girl groups confirmed to debut in 2019. Now it's time to shine some light on the boy groups awaiting to make their debut. Here are nine groups scheduled to debut this year! INX fans might already know this group. The maknae of INX is now the maknae of Argon! Argon is a six member boy group formed under MSH Entertainment, whose name stands for Art Go On. They chose the name, since it expresses the continued movement of art, which symbolises their ability to try on every genre and not be tied down to one image. Pair that up with their abilities to create their own choreographies and songs, and this might be a group to take into consideration. 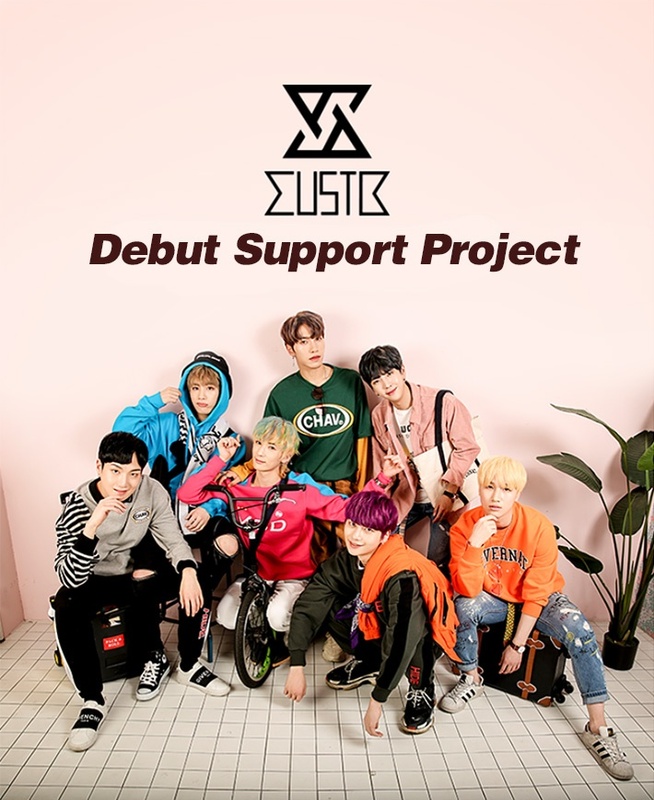 They are currently holding a Makestar project to fund their debut, which has past the 100% mark, but is still open. This is one of the groups I dare to say people are most excited about and have been asking for. Let's not forget the hype around 6Aces, a group that never even existed. The plans for the group have been pretty vague. All Big Hit confirmed is that they were planning to debut the group in the earlier half of 2019. They also said the debut concept, the number of members and the trainees who would be a part of the group had not been decided yet. With the disbandment of Wanna One, Daehwi and Woojin will return to their company Brand New Music where they are scheduled to make their debut with the other two Brand New Boys, Youngmin and Donghyun (a.k.a MXM), sometime in April or May. 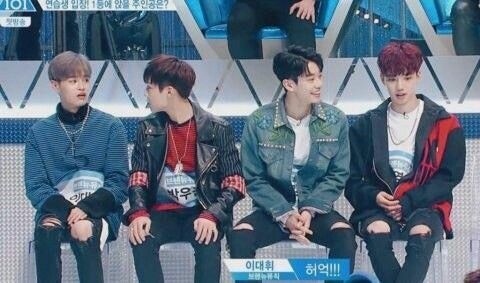 Brand New Music CEO Rhymer has talked about the plans for this boy group in 2018, stating they wanted to bring out a group who would bring their own music to the scene and that he had faith in the abilitie of the Brand New Boys. He also said it would be important for a group to have individual fanbases, and that the duo format might be lacking in this aspect, but he thought MXM had done really well and shown great chemistry plus appealed to the public. He hopes the boys will grow up and mature so they can truly be in control over their own music. KITEBAND will be the first boyband coming from Majesty Entertainment. You may remember this company from the previous list I made on the 6 confirmed girl group debuts. They are under the same company as upcoming girl group PURPLE BECK! Not much information has been released on this band, aside from what one of PURPLE BECK's managers revealed: they are scheduled to debut in the latter half of this year and the name is still a work in progress. For now they'll go by KITEBAND. The only member to be revealed already is K, who did a short cover of Winner's Million. There was some confusion on this group before, with their sudden release of 'I Want U' and a lack of other information released. But MustB has cleared it up now with their official introduction through their Makestar debut project. Prior to the project, it was unknown who was in and who was out of the group. The music video included seven bos, but only tagged four. It had already been confirmed by Chibin, who was formerly in MASC, that he had left the group. The other two members were unknown. We now know at least the current line-up, which includes the four people tagged in the original post, Sangwoo/Kain, Sihoo, Hawoon and Doha (Dohyun), plus Wooyeon, Soohyun and Taegeon. Taegeon might be known to people as a former member of M.Crown and Challenger. Challenger have not made their debut yet in Korea, but have been actively promoting in Japan. He announced his departure from the group through an Instagram post, where he said that he couldn't promote overseas any more due to his upcoming military service. He made the decision to leave eventhough he wasn't planning to immediately enlist. Dubbed by the Korean media as the 'Ji Hansol group', Newkidd has already garnered some media attention. The group already has two albums under their belt before debuting. Both albums were released under one of the two sub-units: Lemme Spoil U (Hansol, Jinkwon, Yunmin and Woocheol) or Newkidd02 (all six members). Newkidd02 has even promoted on music shows for their release. What the line-up for Newkidd will look like during official debut is uncertain. There was a rumor going around that the group would have ten members, but this has not been confirmed by their company. Though it's likely that the current line-up will be part of the debut line-up. All of the boys were introduced on their Makestar debut project, which has been rounded up succesfully. 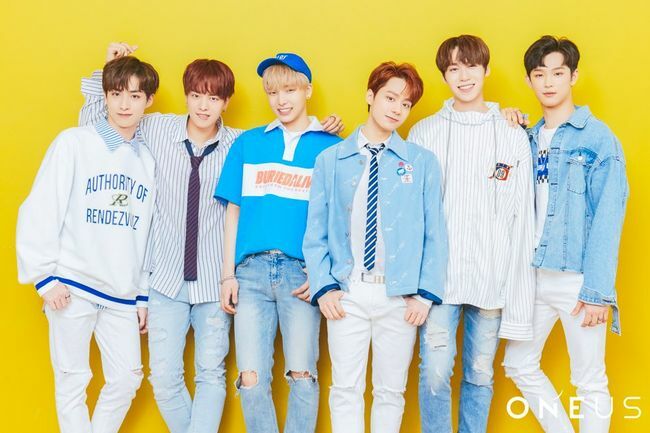 ONEUS will be the second boy group to debut under RBW, Vromance being the first, and is the brother group to ONEWE, who will make their debut on a later, yet to be determined date. With ONEWE, they released the single 'Last Song' in 2018. Some of the members have already gathered some attention, as participants on different survival shows, appearances in music videos ahead of debut or being a trainee of big companies among others. Ravn (Kim Youngjo) used to be a trainee at YG, JYP and Plan A, and was supposed to debut in Victon. He also appeared on MIXNINE, ranking 27th, and made an appearance in MAMAMOO's 'Everyday' music video. Seoho appeared on Produce 101, ranking 94th, and MIXNINE, ranking 17th. Keonhee and Hwanwoong also appeared on Produce 101, ranking 33rd and 42nd. Leedo (Kim Geonhak) is a former YG trainee. Recently introduced by their company OD Entertainment, T-Birds is the male equivalent of Pink Ladies, who recently made headlines due to one of their members being a Playback member. Both groups will have the same concept: kpop and musical. A date has not been named for their debut. Their Instagram mentions they will be coming soon and that it will be a hot 2019 debut. The second group to make their debut on the 9th of January is VIXX's and Gugudan's little brother group VERIVERY. 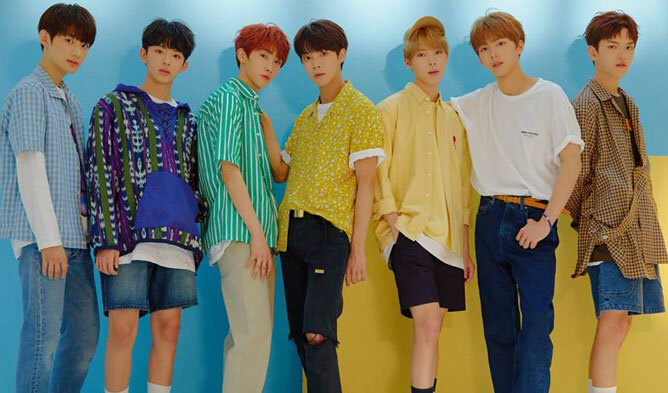 VERIVERY released their pre-debut single 'Super Special' in 2018, as the OST for their first reality show. In the show, they showed their progress and their daily life, as well as showing of their creative side: the members are skilled in writing, composing and creating videos! Brand New Boys will kill it forsho...!